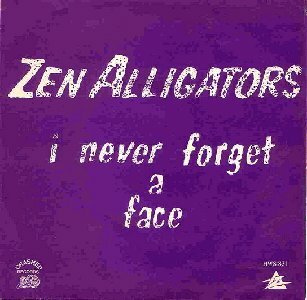 The Zen Alligators were formed in 1980 by Eamon Carr and Johnny Fean following the demise of Horslips. 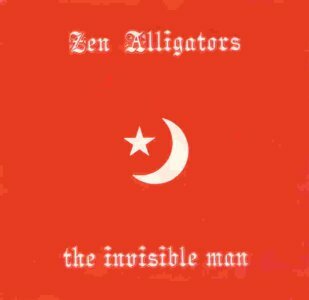 They were joined by second guitarist Philip Fay (ex Vultures) and bassist Gary Eglington who'd previously been in the Arthur Phybes Band and the Noise Boys. 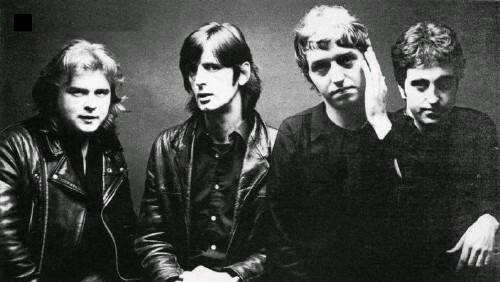 All bar Fay had played briefly as The Defenders in 1979. 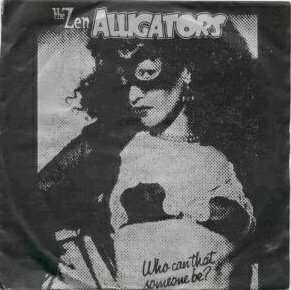 They originally called themselves The Alligators and released their first single under that name but had to change it when they found it was already in use. 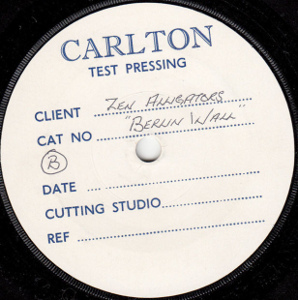 Their live debut was at the National Ballroom in 1981 which drew a crowd of 500 plus. 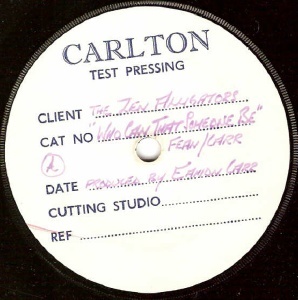 Carr and Fean were the main songwriters in the band and Carr did most of the production work. 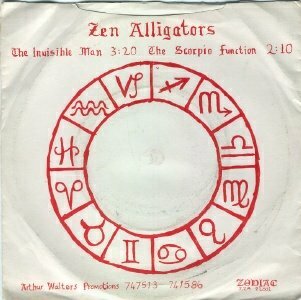 They released five singles in total (the first as The Alligators as already noted) on various small labels. These are becoming increasinly difficult to find. 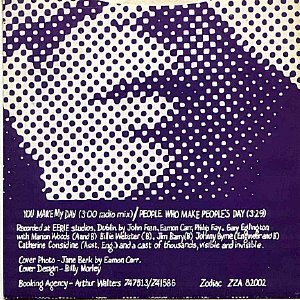 The band became a trio in mid 1983 when Philip Fay left before the fifth and final single which was released on Carr's new Hotwire label. 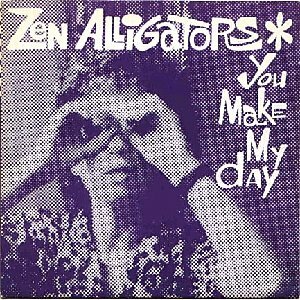 The Zen Alligators toured Ireland regularly and one such gig at the Top Hat Ballroom in Dun Laoghaire was televised in RTE's "Campus Rock" series. If anyone has this on video then PLEASE GET IN TOUCH IMMEDIATELY!! 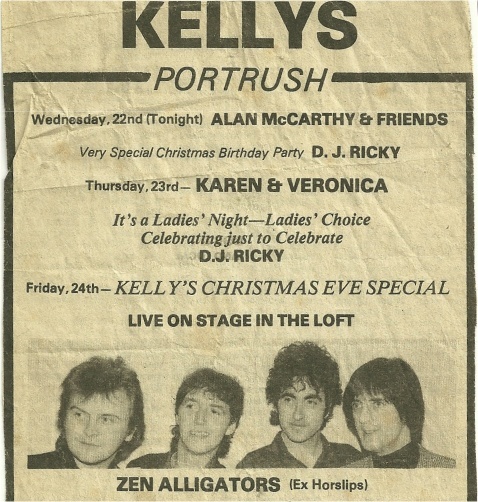 Advert for a gig in Portruch on Christmas Eve, 1982. In the photo LR: Gary Eglington, Johnny Fean, Philip Fay, Eamon Carr. 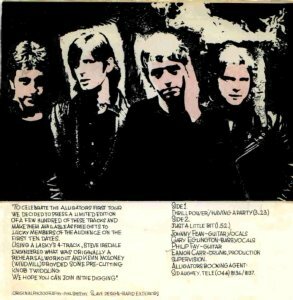 After the split Fean and Carr continued to work together with another ex Horslips colleague Charles O'Connor in The Host (1983-85). They also collaborated with The Golden Horde as The Saints & Scholars in 1984. Gary Eglington worked with The Fontaines and joined Barry McCabe's Albatross. 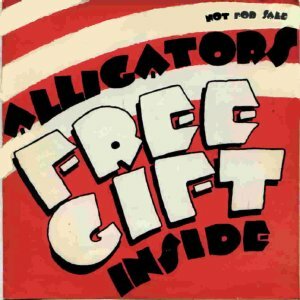 A band crying out for a CD/DVD compilation!! 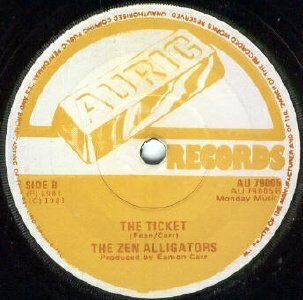 If anyone knows any more details about the RTE broadcast or has any live tapes (or if you'd like to become the irishrock.org mole at RTE HQ) please get in touch. 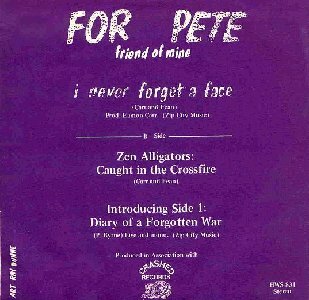 Dedicated to Pete Byrne, a friend of the band, then recently deceased. 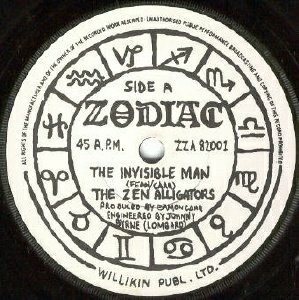 The second track on the B-side is by Pete Byrne's band Side One. 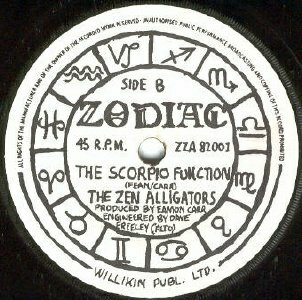 K7 - bootleg - ?? ?